Rajinikanth-Shankar's forthcoming combo film 2.0 is in its first schedule of shoot happening and a fresh schedule to begin shortly. Second schedule of this sci-fi commercial action thriller to begin from 18th of this month in Chennai. For now Rajinikanth is busy with the shoot of Kabali in Malaysia and said to return back shortly. In the meantime crucial scenes to be canned. Amy Jackson is romancing Rajinikanth in this film while Akshay Kumar has allocated 60 Days of dates for this flick. AR Rehman is rendering tunes for the film. 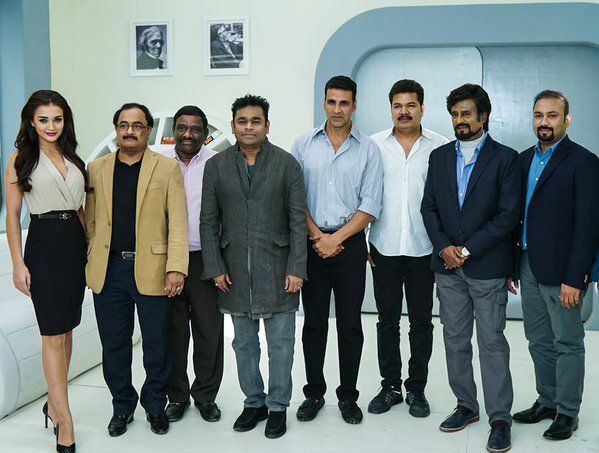 Write & Share about "Rajinikanth-Shankar's 2.0 2nd schedule details | 2.0 (2 Point O) Tamil Movie News | Cinema Profile" !